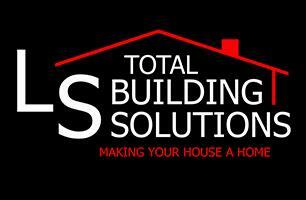 L S Total Building Solutions - Carpets/Flooring based in Houghton Regis, Bedfordshire. Whether your job is commercial or domestic, big or small; we can take care of it for you from start to finish. No calling around to find different tradesman, no dealing with multiple people. You'll have one point of contact to handle everything! We offer a complete range of domestic and commercial building services, from basic household repairs and decorating to flooring and tiling, bathrooms and kitchens, all the way to extensions and loft conversions. I personally have over 15 years experience on large commercial construction sites, mostly in central London and now focus on domestic building and refurbishments. In 2019 we're putting extra focus on to our flooring department and have expanded our flooring team with highly experienced and friendly flooring specialists to offer you the very best finish every time. We can offer a supply and fit service on flooring and carpets with free no obligation quotes or we can simply fit your own flooring that you supply. Call now to book your free quote.